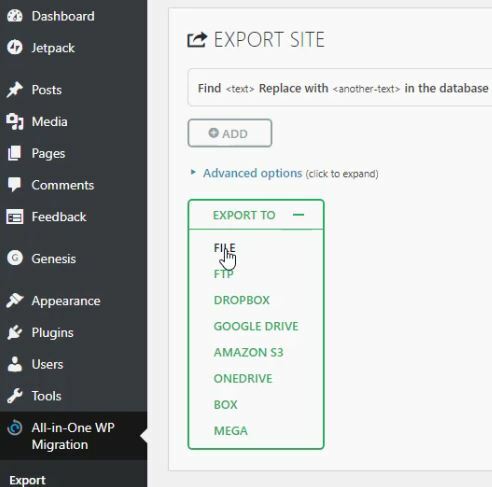 Copy a live WordPress site to a localhost using the All In One WP Migration plugin in six easy steps. This plugin is great for testing or developing your WordPress Site offline. The All-in-One WP Migration plugin makes it so easy to copy a live WordPress site to a localhost that even a novice can do it. There is no need to use FTP is you don’t want to. Simply create a copy of your live site and save the copy to your computer. Then all you have to do is drag and drop the copy to your local computer. That’s it your done! Go to your live WordPress site and install and activate a plugin called All In One WP Migration. Once the plugin has been activated, you will notice a new Icon called All-in-One WP Migration. Go ahead and click on Export and then on “EXPORT TO”. This will open a drop down menu from which you can select “File”. A new window will popup. You can then click on the Download button and select a place to save your copy of your website. Open Local by Flywheel and create a fresh install of WordPress. If you are not sure how to do this, check out this tutorial and it will guide you step by step. Once you have installed a fresh install of WordPress, login to your local site then install and activate the plugin All-in-One WP Migration plugin. Now go ahead and select “Import” from within the All-in-One WP Migration icon. Now go ahead and click on “IMPORT FROM” and select “File” from the drop down menu. No select the file that we downloaded earlier in the process. The importation will now begin. You will receive a Warning. 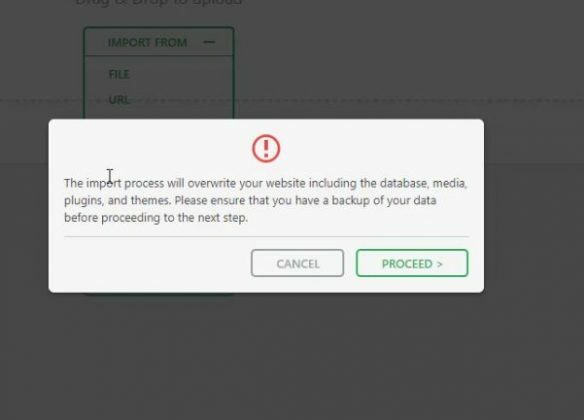 Don’t worry about that, just click on Proceed to continue with the importation. The installation of you live site to your local host takes a few minutes. Just sit back and relax and let the process finish. All you have to do now is click on the “Permalinks Settings” link and save your permalinks twice. In order to login to your local site, you will now have to use the user name and password for your live site. I like the plugin and have used it many time. The only issue I have is it deletes the login credentials on the site you are migrating to. If you are moving a demo site to a client’s site, the client loses his credentials. I wish there is a work around that the credentials are kept even after migrating. Any ideas? Great stuff! How can I get private help with you? I don’t offer private help at the moment. I focus on tutorials to help the masses. If you have a question. Post it here and I’ll see how I can help.